You’ve probably already heard of the phrase “gold bullion” in conversations before, but aren’t really sure what is it. Gold bullion refers to gold that is valued depending on its weight and purity. It is different from other forms of gold that we use or purchase, which includes jewelry or the gold that is used in currently, whose value is largely dependent on aesthetics. 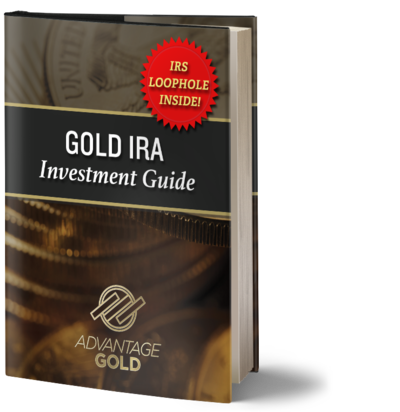 For many, investing in gold is much better when invested in gold bullion, because you are actually paying for the basic market value of gold, as well as any minimal costs incurred in molding the gold into its current form. Investing in gold bullion is a safe way to invest, because you are simply purchasing it in its most basic or pure form. There are different types of gold bullion available in the market, and each of them has their own advantages. Are smaller than the other types of gold bullion available. They are produced by different entities which are usually governments of certain countries, as they are used in local currencies around the world. Gold bullion coins are a top choice for those investing in gold, because they are small and ready to use. They are also much easier to liquidate, when compared to the other types of gold bullion, which are bars and rounds. Gold bullion coins are also recommended for those who are just beginning to get into the world of investing in gold. Are rectangular pieces of the metal produced by mining companies from countries all over the world. It fits into the ideal mold that we often think of when we imagine pure gold, such as those that they show in movies. Gold bullion bars are essentially stackable bars that have been produced directly from raw gold by mints, which is why gold bullion bars bear a company name or logo on its surface. The bar also contains information on the weight and purity of the gold bullion bar, which is important because investors look at this information to determine the amounts of metal contained in the bar. Are characterized by their circular, thin physical qualities, also produced by mints around the world. The main difference from rounds and coins is that coins possess a legal tender and are manufactured by government mints, whereas rounds don’t have the same status as a legal tender, and can also be produced by either private or government mints. Gold bullion rounds contain a logo or company name stamped onto its surface area, which also indicates the round’s purity and weight. Buying gold for the first time doesn’t have to be intimidating. 1. How much money are you willing to exchange for gold? It’s important to remember that gold is not a traditional investment, because it doesn’t return dividends unlike other types of investments. Early on, you should already establish how much you’re willing to spend on gold. 2. Do you want to keep possession of your gold? Investing in gold provides many ways of keeping it, although one method is by making use of a custodial service, which are companies that allow you to keep your gold in their vaults for the purpose of easy collection and storage. There is also the option of investing in companies that mine for the gold. 3. What kind of gold bullion do you want to purchase? It is best to study each type of gold bullion and go for the type that suits you and your needs best. 4. How will you know if the gold you purchased is real? The fastest and cheapest way to do so is by taking your new gold to a nearby coin shop for inspection. Gold is an asset unlike any other, and is as valuable today as it was centuries ago. Gold has been able to maintain its value throughout the years, and is also one of the few investments that has been able to successfully hedge against inflation. It will depend on the type of investor you are; generally serious investors who are looking to stock on large amounts go for gold bars. For first-time gold investors, gold coin is also a good choice, and they are also easy to resell because they are universally recognized. 3. What is Gold Accumulation Plan (GAP)? It is a type of gold savings plan offered by banks and that allow its clients to purchase gold and convert them in various financial outlets. 4. Where is gold mined? Gold is mined around the world but the top 10 deposits are located in Africa, Australia, Dominican Republic, Mongolia, Russia, and Indonesia among others. 5. Difference between bullion and collectible coins? Collectible coins can be profitable although it is also linked with a risk because it is not directly related to the price of gold. A future purchase of collectible coins can be subject to other factors, such as periods of good economic growth. On the other hand, bullion coin investments don’t rely on the demand of collectability, because bullion is directly linked to the future price of gold therefore removing the subjective nature of its price. Gold bullion is readily available in many coin dealers in your neighborhood, or online. Our recommended gold dealer meets all of these requirements, click here to learn more about them. It is also best to inquire about any restrictions such as minimum amounts for purchase, various forms of payment accepted at the store, and how soon you’ll be able to possess your new gold bullion. The Internet is rich in many trustworthy and reputable gold bullion dealers, where you can easily verify the authenticity of the business.